Please note that this Leadership Program is only open to those women who are YWCA Rising Stars. To apply for the Rising Star Leadership Program, please complete the application and return it by December 3, 2018. For more information about scholarship opportunities or other questions, contact Kristi at krohrkasse@ywcacin.org. 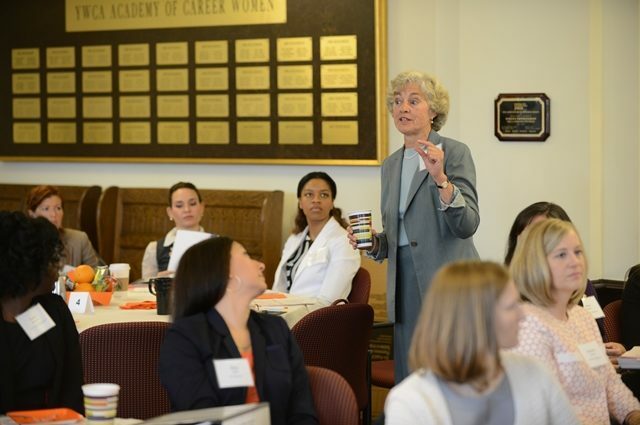 The YWCA Rising Star Leadership Program was started in 2007 with generous support from Greater Cincinnati Foundation and the Barbara Lindsey Memorial Fund. The program is focused on preparing interested Rising Stars to serve on non-profit boards and act as equity leaders. Sessions are facilitated by local and national experts and cover a wide variety of topics from building executive skills to balancing career, board, and home life. In accordance with the YWCA mission, racial awareness and racial justice is a major focus of the training program. Each Rising Star Leadership class consists of up to 40 participants with diverse backgrounds, professions, and experiences. The program takes place in six full-day sessions January through May of 2019. In the spirit of the YWCA’s pioneering history in the realm of racial justice, the program has and will continue to present very direct and specific training and discussions on the elements necessary to eliminate discrimination and promote racial justice. We believe that it is important to present these topics and to promote cultural sensitivity within the context of executive-level leadership skills, from individuals who are personally knowledgeable about these topics. 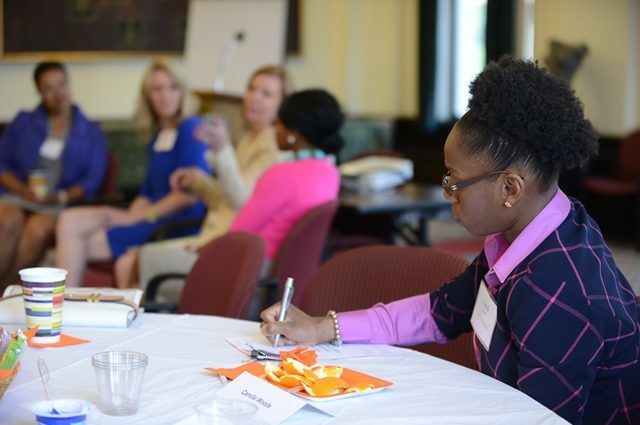 We are grateful to the Charlotte R. Schmidlapp Fund, Fifth Third Bank, Trustee; and Katy Hollister & Deloitte for funding support of the YWCA Rising Star Leadership Program. We are also indebted to Kathy Beechem for her inspirational and dedicated leadership. Graduates of the YWCA Leadership Program are certified by the YWCA as ready-to-serve on local boards and are added to the YWCA’s Board Registry. Area organizations are able to share their board openings with candidates in our registry. Are you a local organization interested in sharing your board opening with our certified ready-to-serve board leaders?For more information, please contact Kristi Rohrkasse at 513-361-2168 or krohrkasse@ywcacin.org.